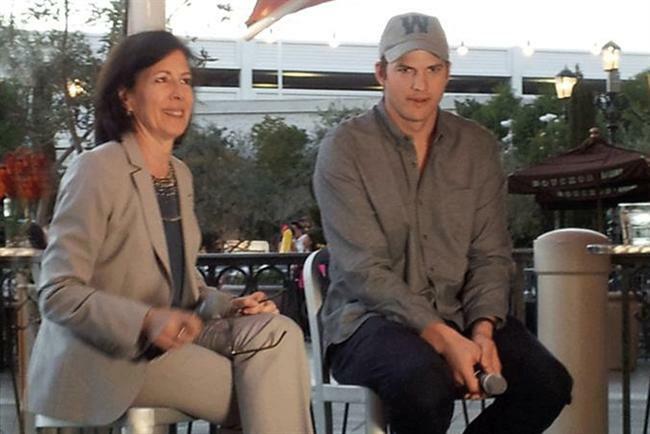 Ashton Kutcher has issued a rallying call to brands and marketers to put their "full force" behind social issues because they have the sort of budgets and resources available to help "create a world that has a little more compassion". The actor and tech investor had a "canal-side" chat on Wednesday with Monica Karo, the US chief executive of OMD, at a private event at The Venetian hotel. The gathering was part of CES International 2015. Kutcher told the assembled audience the reason why he wanted to come is he "wanted to connect with the people who have the ability to make a difference". He said: "You represent some of the largest brands and companies in the world, and you have budgets to actually move the needle, budgets to shape people’s hearts, crack it open a little bit." Marketers, he said, might be able to "create a world that has a little bit more compassion and a little bit more social interest and a little bit more movement towards that which we all know this world can be." He said brands shouldn’t be afraid to tackle social issues in their marketing because "it just so happens these consumers that you are trying to reach and connect with, and create brand affinity with, care about those issues too". Kutcher spoke passionately on this issue, and in true Vegas style his speech was made all the more dramatic by an exploding "volcano" display behind him as the sun set over the faux-piazza. He mentioned Dove as a brand that has used the issue of body image in its marketing to affect change: "You are the ones that have the capacity to make true impact and inroads in a lot of those issues that are global issues and personal issues and issues you have the power to change." Brands are also in a good position to be effective in this sort of work they can measure — and to quantify their endeavours as they would a marketing campaign. Kutcher’s speech tapped into a wider shift in marketing toward communications with purpose, something that the Intel chief executive, Brian Krzanich, tackled during his CES speech on the need for greater diversity in the tech industry. Kutcher said: "Don’t be afraid to put your company to task and take on major problems in this world because people do rally behind those things. "Continue to be courageous and curious and don’t assume because it is the incumbent way to do something – that it is going to be the only way to do things. Because things are moving so fast, a portion of every day should be spent on just trying stuff." In the wide-ranging discussion, Kutcher talked about his investments, entrepreneurialism, his influencer platform and what it is like to be a new father. He also talked about some of the challenges Twitter is facing right now, describing it as a "glorified RSS feed". He said: "With Instagram, WhatsApp and Facebook, Mark Zuckerberg must be thinking, ‘Thank you for existing, Twitter’." This story was first published on Campaign US.